The initial website of this Westchester-based same-day messenger service had been designed by the college roommate of the owner’s son…and it looked it. We conducted a competitive analysis of local, regional and national courier companies to develop the firm’s key messaging, which set the tone for the revised website text. 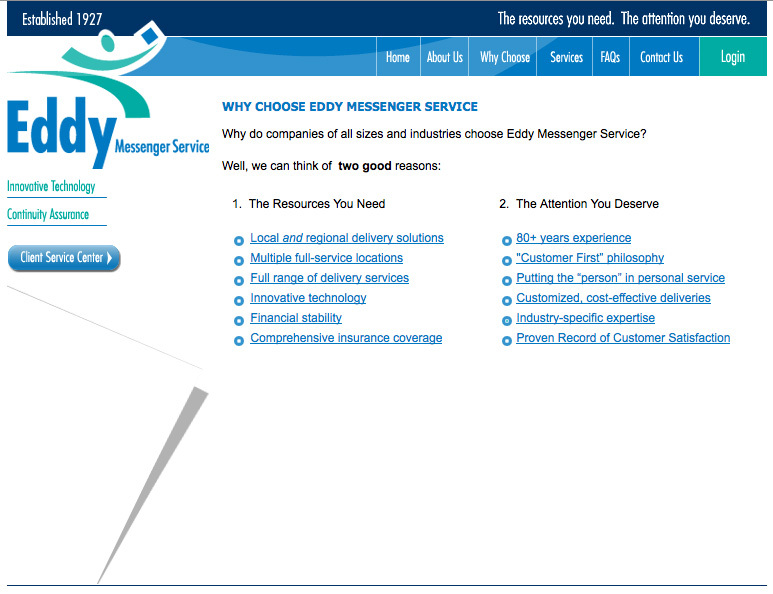 The client liked our idea for a Why Choose Eddy Messenger page with eye-catching pop-up benefits. They were also pleased with the new company tagline we developed.